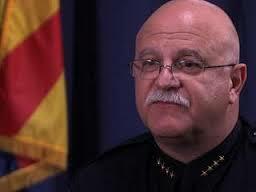 Phoenix Law Enforcement Association > PLEA News > For the Sake of the Citizens, Garcia’s Gotta Go! For the Sake of the Citizens, Garcia’s Gotta Go! I am aware that there is a form letter of sorts that those in favor of ousting current Police Chief Garcia are encouraged to send to your offices. Although such correspondence has value in the sheer numbers of these form letters that have no doubt crossed your desks, their value tends to diminish in proportion to the redundancy of the message. In other words, when you recognize the same message over and over, you simply delete it and move on. Please allow me to take a fresher approach. There can be no argument that Chief Garcia’s methods are draconian at best. Interestingly, I believe that is no small part of the reason that he was recruited and hired by Phoenix. The City saw great upheaval and push back among the rank and file of its public safety employees in response to similar “leadership” styles of the previous administration. For that reason City leaders relieved former Public Safety Manager Harris of his position in a fairly obvious attempt to appease the rank and file. At the same time, however, a plan was put in place to replace Harris with someone from outside the department. Since part of the problems with Harris was the result of his ascension through one of the most incestuous chains of command in the history of city government, this plan was applauded by the unions as progress. Little did they know, however, that this plan included replacing Harris with someone much less qualified for the position and virtually unknown in the Phoenix area, thereby cloaking his management style until he had already secured the position. Still, the unions were on board because after the blatant favoritism and unrestrained ego of Harris, anything would have been perceived as improvement. They also believed, however, that the removal of Harris was a signal from City leaders that were genuinely interested in fostering a more effective, trusting, and productive working relationship with them. The reality, however, was that Garcia was brought in as the perfect hatchet man, someone with no ties to the area or the Phoenix Police Department, and who could be manipulated by his supervisors like some sort of devilish marionette, becoming the face of impersonal, uncaring, “my way or the highway” practices designed to break the will of the officers and the back of the union. Thus far he has succeeded beyond the wildest expectations of his supervisors who remain in the shadows while he almost gleefully wields his authority with impunity. This historical background, including the true reason why Garcia was hired, cannot be denied, and would be confirmed by anyone with a genuine sense of integrity who has spent any time at all around the Police Department for even the past ten years. Clearly that would exclude all of the current Assistant Chiefs and most of the current command staff, all of whom have succumbed to the same “my way or the highway” philosophy mentioned earlier and eagerly practice it themselves. However, like any short-sighted and inherently vindictive plan, the hiring of Garcia has produced unforeseen consequences, not the least of which is the annihilation of morale among the officers who carry the ultimate burden of representing the department to the community. Make no mistake, depleted morale has extended consequences. City management needs to realize that morale is not a union ploy. It is a very real manifestation of working conditions, good or bad. Any management 101 course would confirm this. So if the ultimate goal of hiring Chief Garcia is to break the back of the union and figuratively wag the City’s finger at them to put them in their place, then I must tell you that the plan is doomed to fail. The poor morale created by the unnecessarily harsh and detached actions of Chief Garcia has been made evident in ways not readily seen by the media, apparently the de facto public popularity monitor for City government. Good, caring, capable people are leaving the department in droves out of frustration. Whether it is through early retirements or simply resigning and moving on to better opportunities, the employees who are the backbone of the department are disappearing. At some point this mass exodus will leave only those who keep their employment with the department as merely a job. The resulting decline in customer service is inevitable. Ultimately this will without question result in a disconnect between the City and the community, the certain death knell for municipality. This department and the City rose to prominence with customer service as their respective cornerstones. Ironically it was this same emphasis on customer service and community commitment that many upper echelon members of the department felt threatening, Jack Harris foremost among them. Harris and his hand-picked minions believed that if department employees became to endeared to the community that it would jeopardize and diminish his own power, something he prized above all else. So he subtly began the dismantling of customer service programs in favor of more militaristic units like his beloved Special Assignments Unit. Eventually there was little left of the concept of community policing except the lip service printed in the department’s brochures. Management believed that distancing the department from the community would enable them to be better able to “control” their employees. This control became clear in ways not dissimilar to the current methods of Chief Garcia. Think about that for a moment; fear of community involvement by department leaders led to management practices that were tyrannical, unilateral, and punitive. The unions rebelled against such treatment, not to flex their power, but on behalf of their members who they felt to be oppressed. This is an important distinction that was lost on City management. The groundswell to replace PSM Harris was not about the power of the unions, but rather about the abuse of power by Harris and his cronies. It should be obvious by now that the hiring of Chief Garcia was nothing more than a thinly veiled plan to “teach the unions a lesson” for the forced exodus of PSM Harris. City management reluctantly allowed Harris to become the scapegoat while preparing to hire his lesser known and less qualified clone as his replacement. To no one’s surprise, history is now repeating itself. The only difference is that Harris succeeded in creating the disconnect with the community and its leaders, so Garcia is left with no assignment but to decimate the morale of the rank and file. Mission Accomplished! So now, at a time when the City, and its Police Department in particular, need the support of the community more than ever, it isn’t there, frittered away by successive regimes of police/City management who were more interested in sustaining their own power. I beg you not to allow egos to destroy this once proud department. Replacing Garcia will not diminish the public perception of City leadership, it will enhance it. Failure to do so will surely reap the unintended consequence of the continued decline of community confidence in the department and the City. Never forget that line officers on the street are the face of the department as far as the community is concerned. The morale of those line officers determines what appearance that face will take. The City/department’s long-standing policy of “the floggings will continue until morale improves” can no longer be tolerated, nor should it be. Recently we have seen how cities and police departments that have fallen out of touch with the communities they serve have fared when the going got tough. Please do not allow that to happen here. Restore the morale of the officers by replacing the tyrant who masquerades as a police chief. The community will be the beneficiary. Thank you for sharing your valuable time to listen to the truth.